Hike it Baby wouldn't have gotten as massive without B-School. First, it was just a few moms and now it's thousands! It's incredible. We have 35 active branches and 3 more about to start. 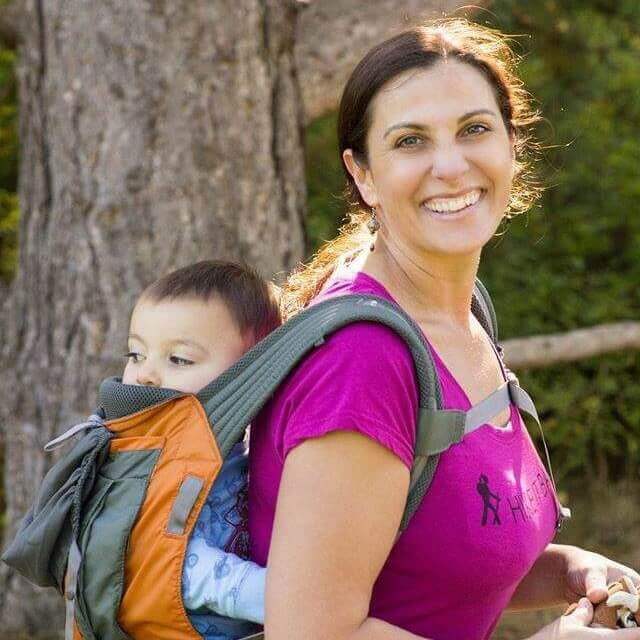 Last summer I started a group called Hike it Baby, which at first was a way for me to deal with mild post-partum depression, anxiety, and the sense of isolation that comes with being a new mom. First it was just a few moms hiking and then it was 50 and 100 and now it’s thousands. We have Moms hiking with Hike it Baby from Anchorage to Austin to Asheville to Australia. It’s incredible. It’s overwhelming. It’s amazing. We have 35 active branches and 3 more about to start. We just launched in Australia and are moving into Canada! Before this I felt very ho-hum with my life. I had been a moderately successful freelance writer, a website developer for small businesses, a mediocre graphic designer. But I was feeling stale. The big shift in my life came when I did B-School to jump start my web business which felt burnt out and tired. I had built a website for Hike it Baby, but it was just a quickie to get her done. Then once I started working on my B-School assignments I knew my heart was no longer in my business, but I had fallen in love with Hike it Baby and what it could become. So that’s the path I have followed. And the growth has been so fast I am struggling to keep the day to day going while raising a little one as a single parent half time (my hubby works rotations in Alaska). Our number one guideline for Hike it Baby is “leave no mama behind.” What this means is that no matter what happens on trail we stop and wait for the whole group. As Hike it Baby grows I love that so many women are embracing this so seriously in our group. Also the other focus I try to remind the group daily is that it’s the journey…not the destination. This is so hard in our fast paced world to remember. I personally have to remind myself this everyday as well as I climb up this mountain with all of my strength. So that’s my story and it’s a work in progress ever evolving. B-School was a big part of why I am now on this path…and I am excited and nervous for the next chapter. I am at a critical point where it’s either going to fly or crash. Hike it Baby absolutely wouldn’t have gotten as massive as it has gotten without B-School. I was inspired to think much bigger than just Portland. This last week when I got an email from Australia I was blown away that word had spread there…and that also opened up my eyes to realize that what I was on to was a global concern for all parents When my son was born I quickly realized that children need nature and the more you give them, the stronger humans they will become.